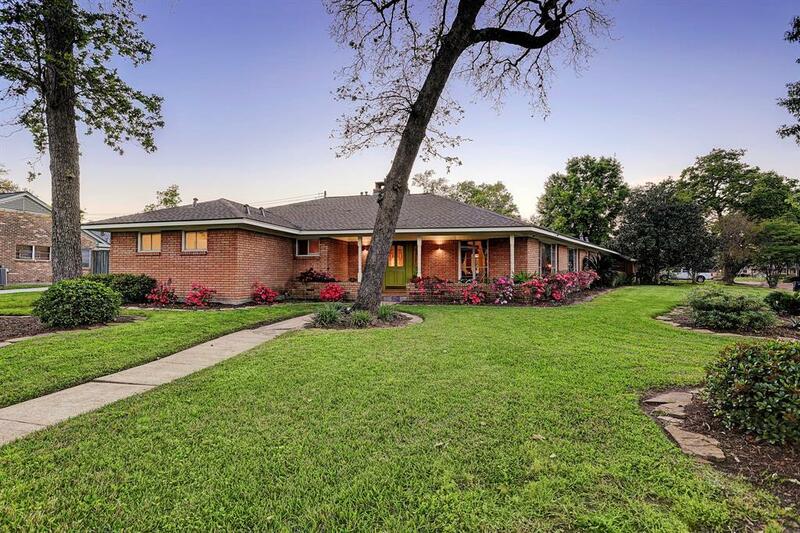 Mid-Century swankienda on an oversized 13,138 SF beautifully landscaped corner lot. Many updates while retaining period architectural details & character. Foyer with original mahogany paneling & rich flagstone accents that wrap around to the fireplace in the huge den with soaring vaulted ceiling, wood floors & modernist ceiling fans. Very open layout, flexible for different uses & perfect for entertaining. 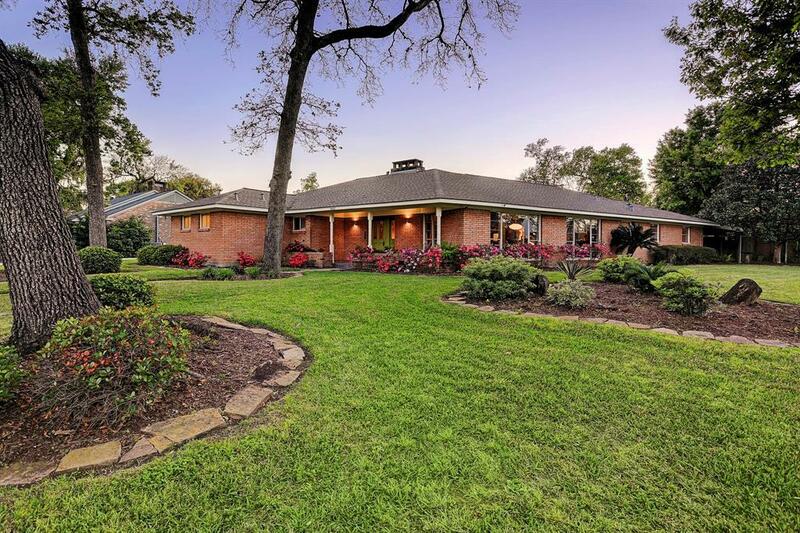 The wall has been opened up between the den & original formals with 3 huge picture windows for great natural light & views of expansive lawn & mature trees. Nelson saucer lamps grace the dining areas. 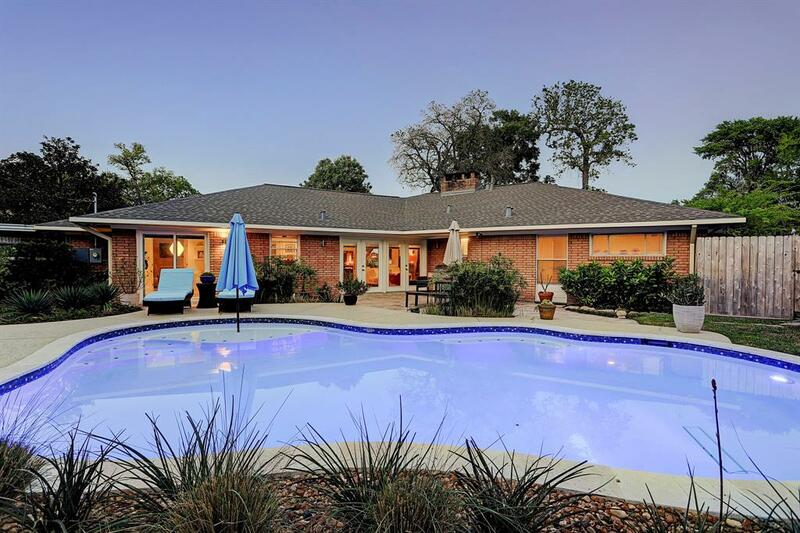 French doors to incredible backyard oasis with recent pool, lots of decking & lush landscaping. Kitchen with SS appliances & granite counters, Huge bonus/game room. Cozy study, both full baths beautifully updated with modernist finishes. Vintage half bath & large inside utility room. 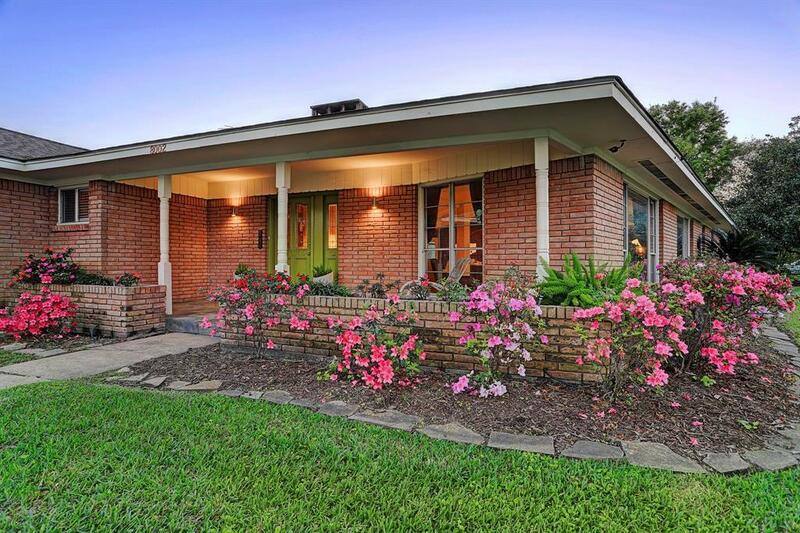 Prime section of the historic district, named a top neighborhood by Houstonia magazine & This Old House.